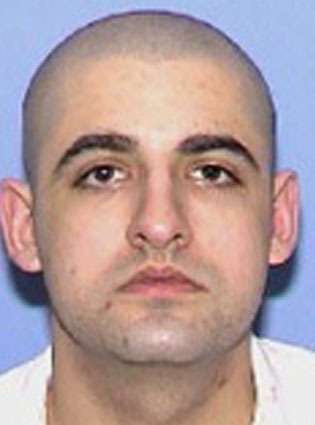 Texas has carried out the execution of Juan Castillo. Read more about the execution here. The Supreme Court of the United States has rejected a request to halt the execution of Juan Castillo. Juan has also been denied clemency by the Texas Board of Pardons and Paroles. Their vote was 6-0 against granting clemency. Juan Edward Castillo's execution is scheduled to occur at 6 pm CDT, on Wednesday, May 16, 2018, at the Walls Unit of the Huntsville State Penitentiary in Huntsville, Texas. Thirty-seven-year-old Juan is convicted of the murder of 19-year-old Tommy Garcia, Jr., on December 3, 2003, in San Antonio, Texas. Juan has spent the last 12 years of his life on Texas’ death row. Juan Castillo was previously scheduled to be executed on Thursday, September 7, 2017. His execution was delayed at the request of the Bexar County District Attorney’s Office. They requested that Juan’s execution be rescheduled due to the devastation caused by Hurricane Harvey days before. In their request, the Bexar County District Attorney’s Office noted that several members of Juan’s legal defense lived and worked in the Houston area, which was hit particularly hard by the hurricane, with torrential rain and flooding. The request was granted and the execution rescheduled for December 14, 2017. The December execution was stayed by the Texas Court of Criminal Appeals in order to all time to investigate false testimony. Ultimately, it was ruled that the testimony of the witness who recanted was not pivotal to the case. Please pray for peace and healing for the family of Tommy Garcia. Pleas pray for strength for the family of Juan. Please pray that Juan is innocent, lacks the competency to be executed, or should not be executed for any other reason, that evidence will be presented prior to his execution. Please pray that Juan may come to find peace through a personal relationship with the Lord, if he has not already.